Impactpool is on more and more Impact recruiter’s lips these days and we are proud of the response that we are receiving. The monthly growth of organisations using Impactpool is between 25% - 30%. This growth comes together with the opportunity to post jobs for free. In this article we explain what it means to post a job for FREE and why the paid job still attracts the most prestigious organisations. 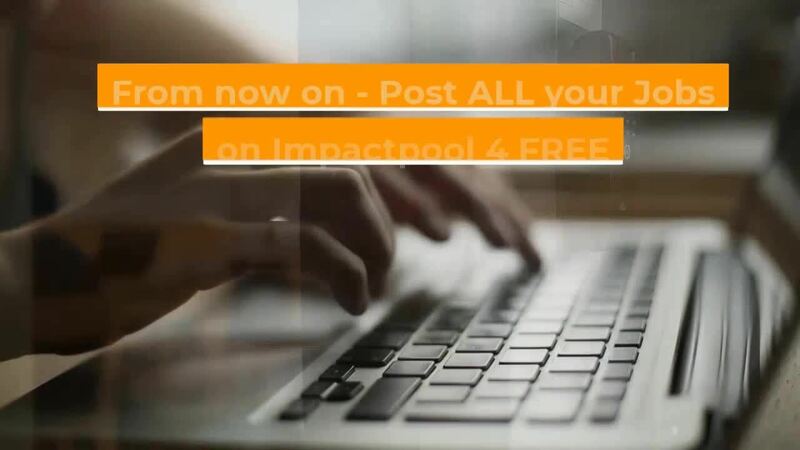 Impactpool strives to gather all jobs from all impact companies and all impact organisations in the world in one place. Our main driver as a social company is to make Impact by making sure that the best talent can have a career contributing to sustainable development and making positvie impact. The more organisations and jobs we have on the site, the more talents it attracts and the more impact we make. In January we launched the FREE job posting alternative. This is a good service for often smaller organisations and impact startups lacking the financial muscles to reach the best talents. The FREE job posting is a great service. You post the free job manually in our dashboard (no automization) and we provide valuable visibility to Impactpool’s logged in talents. The free posting is an "entry" level posting, making your jobs visible and searchable for all our registered members. For partners, larger organisations or organisations who want to ensure a more extensive and/or targeted reach of their vacancies, the Free job posting is not the best option. Larger organisations often have more jobs and hence want the benefit of having all their jobs automatically posted and matched to suitable talents. In addition they may want to reach talents also outside the login wall of Impactpool and include targeted outreach campaigns to ensure a reach candidates who might not currently be actively searching for a new job. We can see a tendency that organisation starts posting a free job, and moves on to upgrade to get broader visibility, to get a logo, to get an organisation page and to get exposure on the site and in the weekly job alerts. If you have more than 2 jobs per months we recommend you to start a partnership with Impactpool. The partnership fee starts at $99 per month and you get your jobs matched to talents by our AI robot and promoted to a much larger audience than you reach today. What is social sourcing and how effective is it?